In US slang, a flack is a press agent and, as an uncountable noun, also publicity. To flack means ‘to work as a press agent’ or ‘to promote or publicize.’ Unrelatedly, in a military context, flack, also spelled flak, is antiaircraft fire. Related to this, figuratively, flack or flak is strong and harsh criticism, usually a great deal of it. The studio's flack is working on a publicity campaign for the new movie. A lot of flack had been generated before the album's release. Harry is flacking for that new rock band. The bomber was damaged by flak. The politician took a lot of flack for the mistakes she made in the interview. 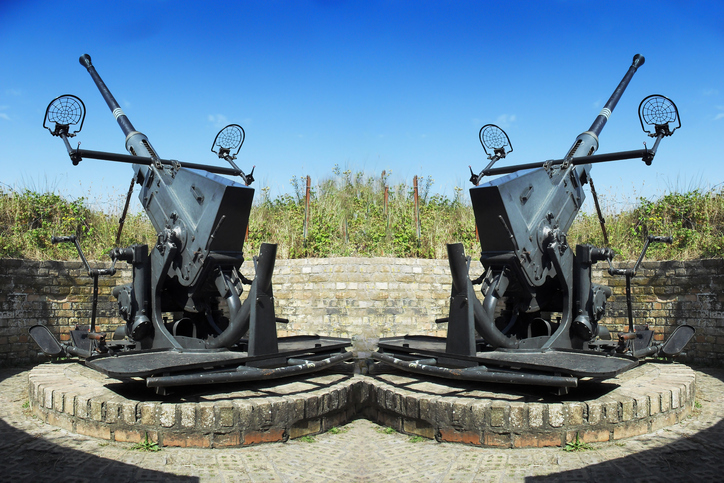 Flak or flack, meaning antiaircraft fire comes from a contraction of the German word for an antiaircraft gun fliegerabwehrkanone. These days, flack is considered a somewhat pejorative term for a press agent or publicist, but originally it was a tribute to Gene Flack, a publicist in the motion picture industry who was so good at his job that the press began to refer to publicists as flacks. Flack, meaning a publicity agent, is said to have been coined due to Gene Flack, a very well-known and successful movie publicity agent, in the late 1930s. The verb, in this case, comes from the noun, and was first used in the early 1940s. Both were originally just used for show business, but by the 1950s, were also common in the advertising world. The term, originally positive, became pejorative in the mid-1960s, mostly due to a shift in American culture. The unrelated noun flack, meaning ‘antiaircraft gun’ and, figuratively, ‘harsh criticism,’ is a variant spelling of flak, which also dates back to the late 1930s. It came into English from the German Flak, an acronym for Fliegerabwehrkanone (in German, a language in which words are often amalgamations of other words, Flieger means ‘aircraft,’ Abwehr means ‘defense’ and Kanone means ‘gun or cannon’). The sense expanded, in 1940, to ‘antiaircraft fire.’ The figurative sense, ‘harsh criticism,’ dates back to the 1960s, and is currently the most common use. As for these two nouns being unrelated, some linguists believe that is not completely true, and believe that flack, meaning ‘PR agent,’ was also influenced by a metaphorical sense of flak (a PR agent being a defense against attacks), but there’s no evidence for this, and the fact that both these terms originated around the same time also makes it highly unlikely.